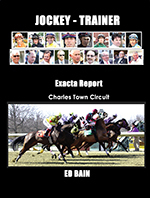 Ed Bain’s track specific thoroughbred Jockey-Trainer Exacta Report Statistics cover 4 years of statistics, 2015 thru 2018 that are separated by 4 1/2 Furongs, Sprints (5 furlongs and up) and Route (7 1/2 furlongs and more). 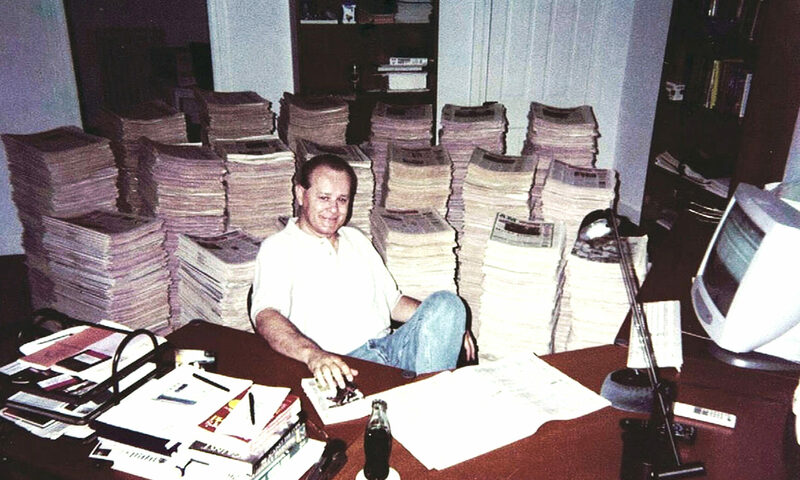 Each circuit is in an individual made to order book that lists the Jockey’s name alphabetically, the Trainer’s name, the number of tries, the number of wins and places (1st or 2nd) finishes and the exacta percentage for every jockey who ran a race during these 4 years currently at the Charles Town circuit . Books are printed with each order and shipped directly from publisher. Allow up to 10 business days for delivery.